Living in this contemporary society, people have access to a wide range of products and services. Life is a bit easier in-a-sense and we tend to take things for granted more so now than ever. Samsung is a company that is innovative in producing products and the brand’s washers are some of the best on the market. Unfortunately, these very washers will need repair even if the owner maintain and takes care of it properly. Washing Machines are appliances that has been around for decades, but when these units are out of commission, the household tends to fall a part. If you’re in need of washer repair service and reside in the San Gabriel Area, there is one company that is setting the bar for repair services. 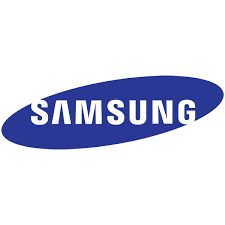 Service Masters Appliance can handle all of your Samsung washer repairs along with a host of other appliance services. With up to 20 years of experience in the game; Service Masters has a history of positive results. Not only is the service affordable, it’s very fast and if you reside in Pasadena, South Pasadena, Arcadia, Altadena, San Marino, Alhambra, San Gabriel, or La Canada Flintridge; you’ll receive same day service. Same day service isn’t too common in the repair industry and this is just another way the company outshine others in the same field. Why Is Service Masters Appliance Rated #1 in the San Gabriel Valley? Being at the pinnacle isn’t easy as well as providing 20 years of service. Service Masters have repaired hundreds of washers throughout the years and many have been repaired in the same day. The significant advantage is that you’re able to get things done especially if small children are present. Let’s have a look at why this company stands at the top. Other repair servers just can’t compete and surely misses the mark. Whatever problem your Samsung Washer is experiencing, Service Masters should be the first provider you contact. To be successful for so long proves that great service can stand the test of time. There is no denying it, if you’re washer breaks down you may have to make some cancellations to your daily routine. Uncleanliness is unattractive and no one wants to be around someone who smells like a dumpster. Kids need fresh clothing for school, adults need to be fresh for work, and if you washer is broken you may need to take a few days off. In conclusion; don’t be the punchline of any jokes and give Service Masters Appliance a call at (626) 381 9899.